In a parallel time a knight and a seer walks a dark earth trying to solve the mysteries of the world, guided only by the stars. If you want to escape reality for while and flee into this madness, you’re welcome to open this heavy door and enter the enchanted universe of Hällas. 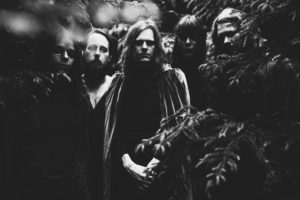 By the ancient landscapes, woods and medieval relics, the Swedish quintet takes their inspiration to express their way of making music into tales, blending progressive rock with early heavy metal. Hällas invites you to an adventure you’ll never forget. You can’t escape your fate.